Media Mikes is happy to announce that they are giving five of their loyal readers and a guest weekend passes to attend the upcoming Kansas City Comic Con. All you have to do is let us know below who you would like to see as a celebrity guest at a future convention. Five random entries will be selected and they will receive a pass for two to attend the Kansas City Comic Con, which runs from November 10th-12th, 2017 in downtown Kansas City, Missouri. This contest runs through 10:00 p.m. CST on Sunday, November 5th. At that time, five random entries will be selected and those winners notified by email. *VIP Reserved Seating for BOTH the film panel at the convention AND at a screening of “Superman II: The Richard Donner Cut,” which will be held at the Alamo Drafthouse. *A set of six special 11″x 14″ 40th Anniversary Prints (unsigned) featuring attending cast members Margot Kidder, Sarah Douglas, Jack O’ Halloran, Aaron Smolinski, Jeff East and Diane Sherry Case. *A special 11″x 14″ 40th Anniversary Print featuring, and pre-signed by, Valerie Perrine, who will not be attending the convention. *Priority line where VIP ticket holders can also have one item of their choice signed by any (or all) of the attending cast members. *A professionally shot Group Photo opportunity with all of the attending cast members on site. *Cool swag bag filled with free Superman and Superhero-related merchandise! Bag merchandise will vary and will include items from show sponsors, including Hallmark, Mezco Toys, Coolwaters Productions, Gentle Giant, DC Comics and Factory Entertainment. For more information or to purchase your VIP Package ticket, click here. 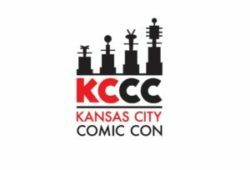 The Kansas City Comic Con runs from Friday, November 10 through Sunday, November 12 at Bartle Hall in Kansas City, Missouri. Once Again, KC’s Planet Comicon is a Rousing Success! Media Mikes has teamed with the promoters of the Kansas City Comic Con to give (5) readers and their guests passes to attend the convention, which runs from August 12-14, 2016. Kansas City Comic Con features celebrity guests like Billy Dee Williams, Nichelle Nichols and “the Hammer” himself, former Kansas City Chief defensive back and action film star Fred Williamson. All you have to do is let us know below what celebrity guest you would like to see at a future convention. On Monday, August 8th, (5) random entries will be selected and the winners will receive (2) passes to attend the convention. Those chosen will be notified by email. For more information and a complete list of guests head here.